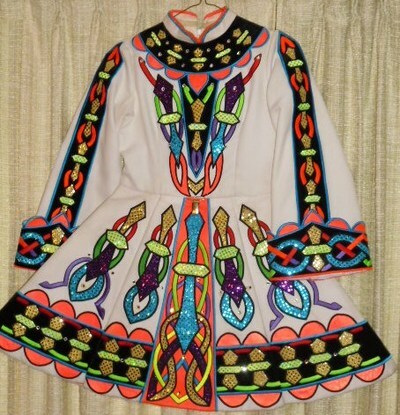 My daughter wore this pretty solo dress when she was in the Novice level at 10 years old. 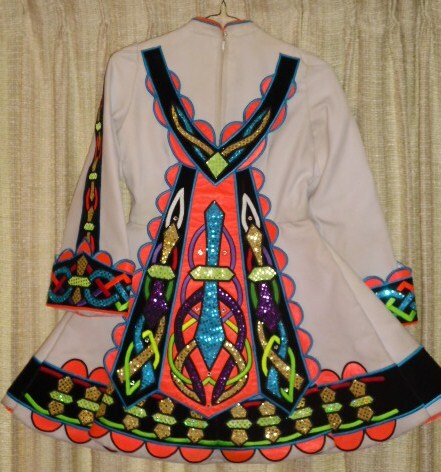 This 3-panel dress has been well cared for, and it is in good condition. The main dress fabric is white gabardine. 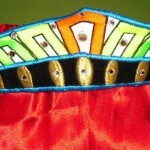 The elegant designs are done in glitter-dot fabric in the colors of blue, gold, green, and purple. 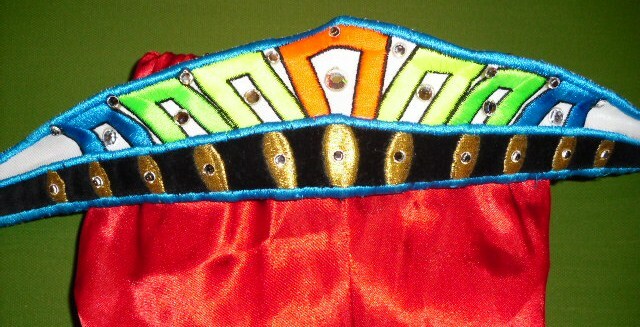 Black velvet, orange satin, red embroidery, and clear crystals are also used. 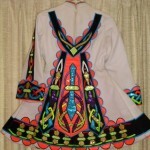 A matching crown and bloomers are included. Additional pictures are available upon request. Asking Price: $US200. Shipping costs not included.